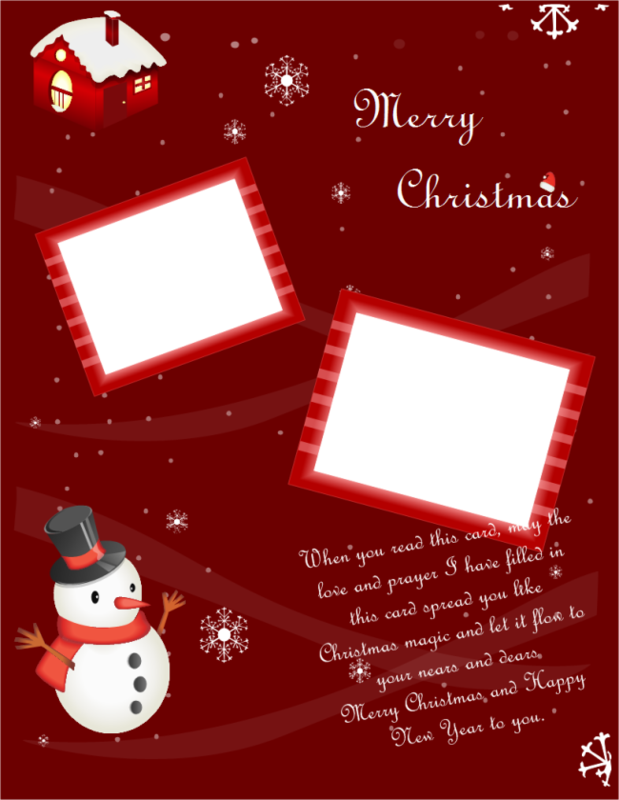 Description: A free customizable portrait Christmas card template is provided to download and print. Quickly get a head-start when creating your own portrait Christmas card. Erase all of the text and you'll have blank Christmas cards with your photo. You can use it as the cover page of your Christmas card.